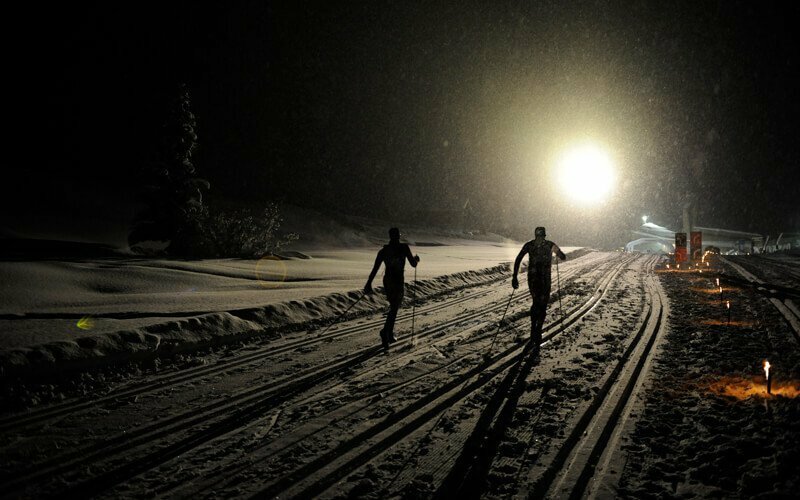 Every year at the end of January / beginning of February the popular moonlight cross-country skiing competition takes place in Compatsch / Kastelruth. You can also sign up for it or watch it as a guest. In Kastelruth, Seis and Völs am Schlern, competitions are held for three days at various stations in honor of the poet Oswald von Wolkenstein. 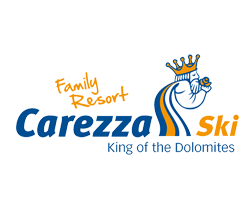 Highlight of the event are the riding tournaments on the last day, but also the culinary and musical accompanying program contribute to the success of the event. Soloists and ensembles from all over the world will delight the audience in over 90 different concerts in more than 50 different locations. 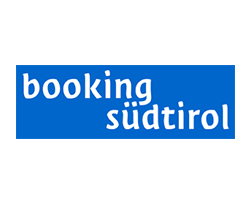 The center of the festival is the provincial capital of Bozen, but individual concerts are also held in Welschnofen and other places. 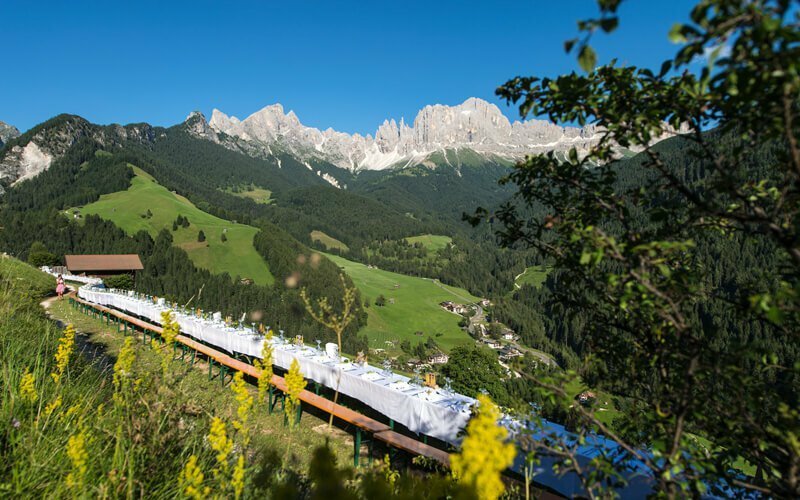 In the summer, the alpine pasture Proa at Weisslahnbad becomes the stage for a culinary highlight in Tiers am Rosengarten. 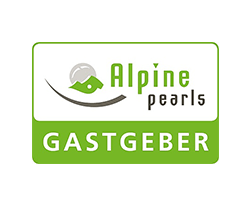 Within the framework of the Berglertafel (mountain table) you have the opportunity to get a 5-course menu prepared by the partner restaurants from Tiers in the picturesque kingdom of the Dwarf King Laurin. 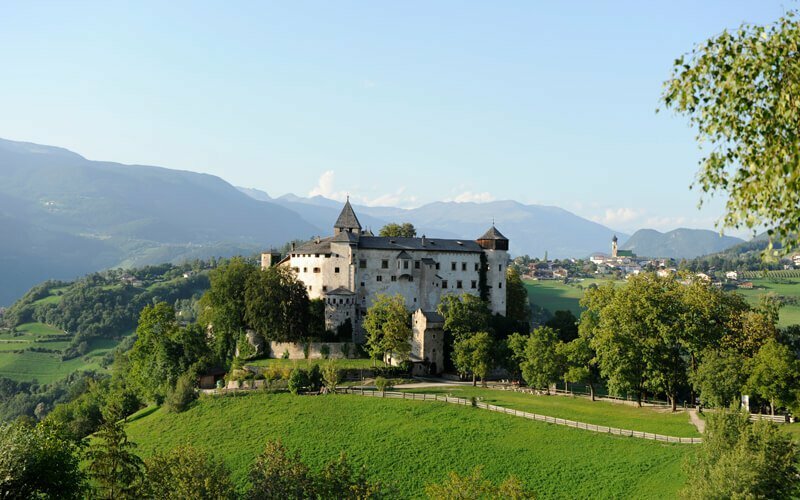 Talented musicians travel every year in July to Völs am Schlern to practice master classes in their art. Fortunately, they also give concerts in which the audience can enjoy the sounds of classical music. International stargazers offer the highlights of this special event with their performances. 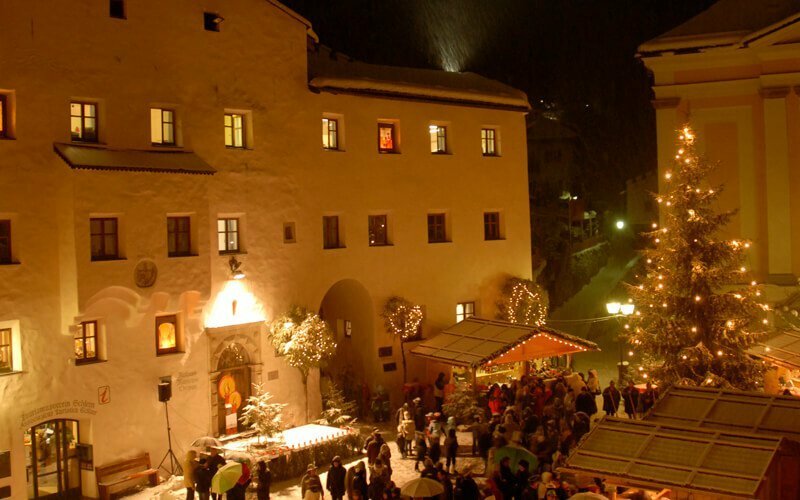 The Berglernächte (mountain nights) in Tiers are a street festival, which is popular among locals and tourists. 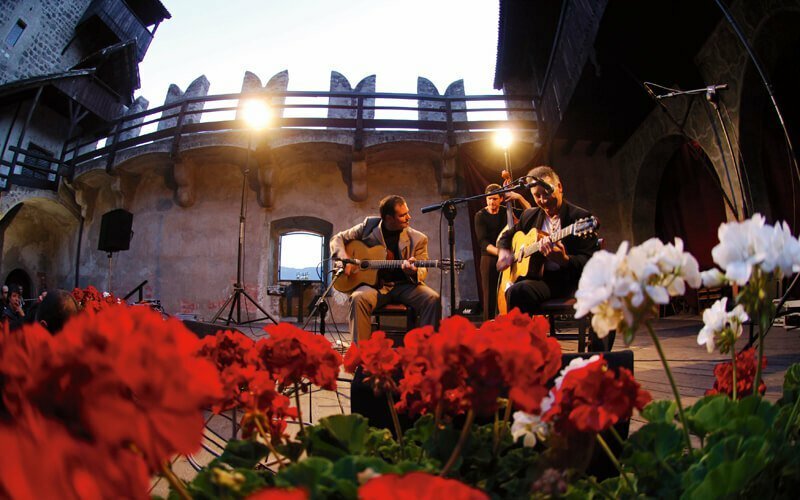 In the warm summer nights you can look forward to traditional South Tyrolean specialties and moody music! 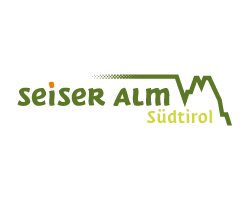 On a hike over the Doss- and Traunwiesen (meadows) under the Rosengarten you enter the alpine huts and try different treats. 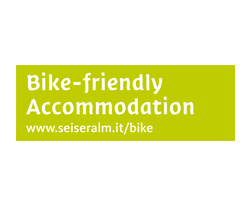 Together with the group you will get to know not only the magical nature, but also the South Tyrolean cuisine. With a good glass of wine you can make friendships, which also last after the holiday! Autumn is all about culinary delights. 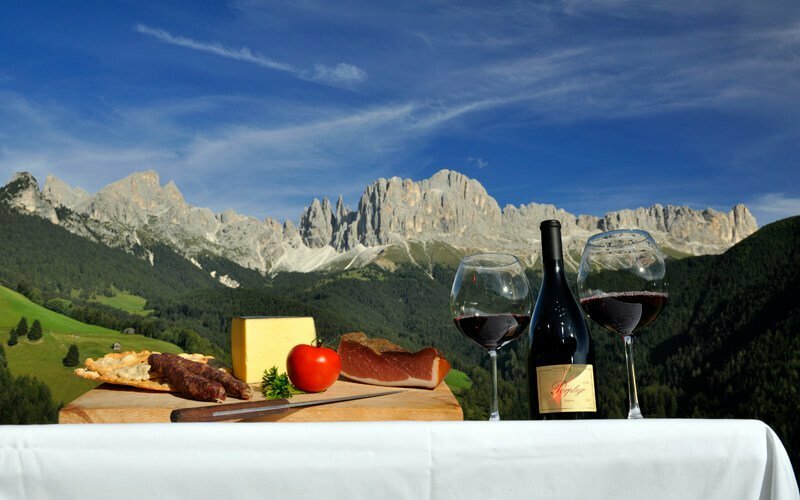 For example, on the round-trip of the King Laurin huts hike, you have the opportunity to stop at the many huts (Schupfen), called alpine huts, and to indulge yourself with traditional treats, excellent wines and appealing music. 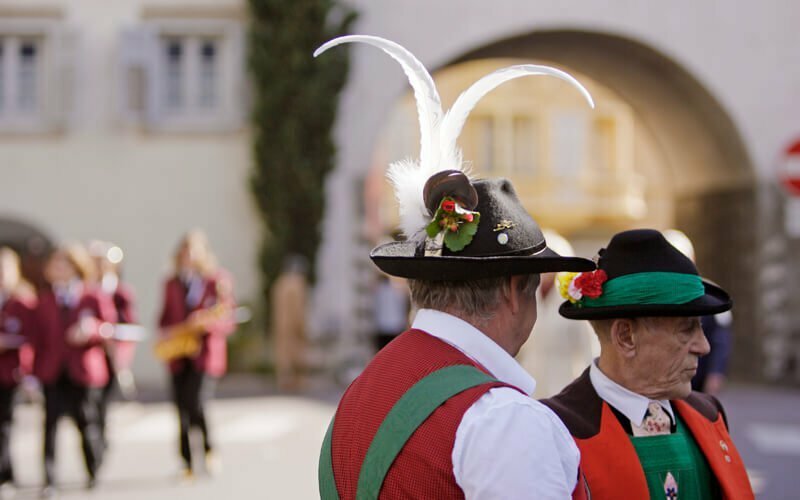 If you would like to get to know the culture and tradition of South Tyrol, you cannot miss the Almabtrieb (ceremonial driving down of cattle from mountain pastures). 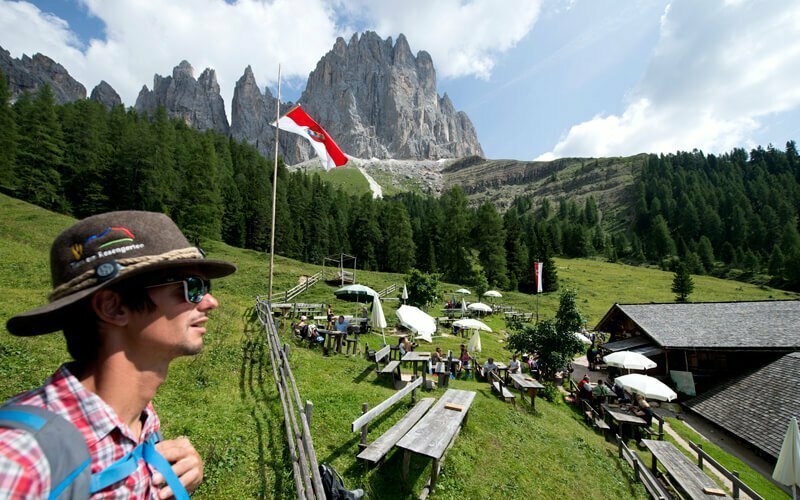 In St. Zyprian under Rosengarten, you cannot only enjoy the view of the Vajolet towers and the Laurinswand, but also live the lively customs. 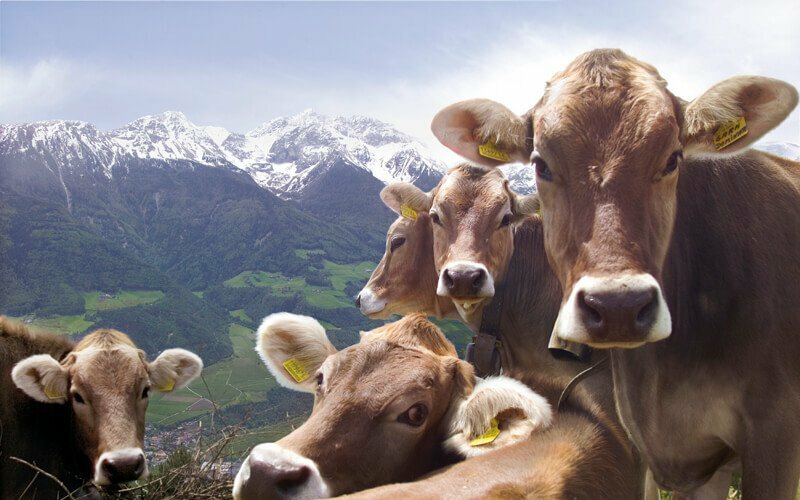 Look forward to the colorful decorated cows, the peasant youth dressed in costumes and delicious specialties! 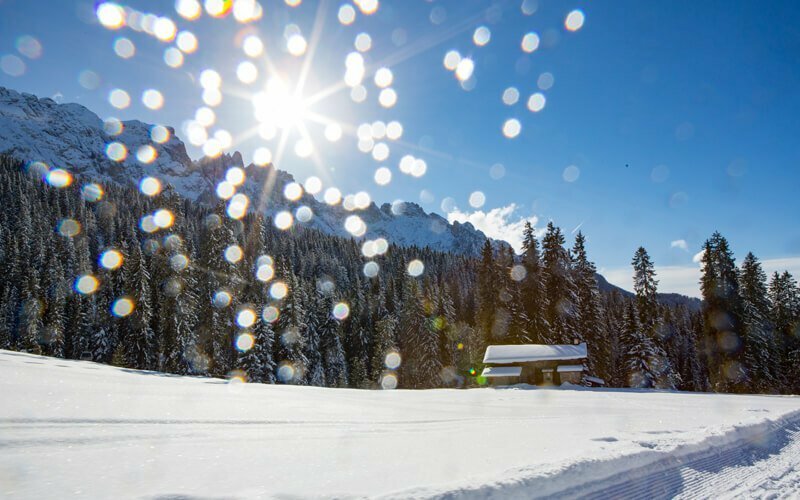 During the Advent season, farmers, artisans and bakers set their tents on the traditional Christmas markets in Bozen, Brixen, Sterzing, the Carezza Lake and many other places. Branded almonds and mulled wine, traditional wood carvings and regional products can be found here, just as much as moody music and romantic lighting.